Drive: 5/8'' hexagon, suitable for DIN 3126-D 6.3, ISO 1173 bit holders. Design: Mplus for higher breaking torque and longer service life. Wera Torq-Set bits offer dependable work and a long product service life because of their high precision profile design and outstanding concentricity features. Wera Torq-Set bits have been designed for demanding applications in trade and industry. Wera Torq-Set bits permit the transfer of high torque loads and have a distinctively long service life. The 05066754001 Wera 871/19 5/8'' Torq-Set Mplus Power Drive Bit is one of thousands of quality tooling products available from MRO Tools. Please browse Wera 5/8'' Torq-Set Power Drive Bits for tools similar to the 05066754001 Wera 871/19 5/8'' Torq-Set Mplus Power Drive Bit. 05066754001 Wera 871/19 5/8'' Torq-Set Mplus Power Drive Bit description summary: Wera 871/19 5/8'' Torq-Set Mplus Power Drive Bit. 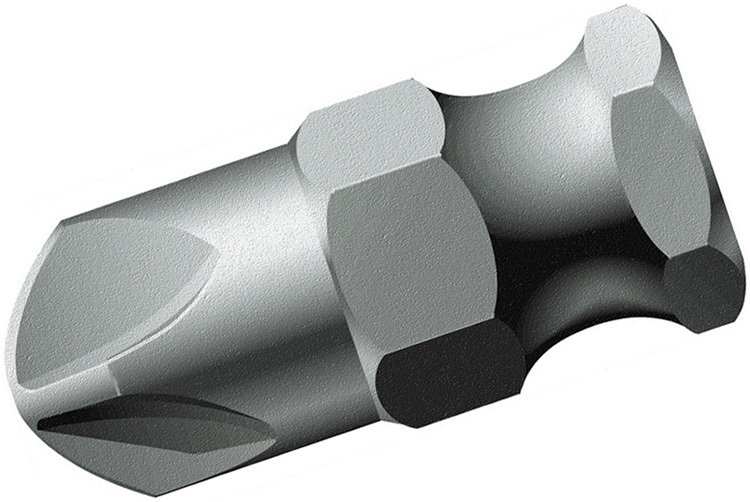 Point Size: 5/8'' Shank Overall Length: 40mm / 1 9/16'' Quantity discounts may be available for the 05066754001 Wera 871/19 5/8'' Torq-Set Mplus Power Drive Bit. Please contact MRO Tools for details.